A talent pool also referred to as a talent pipeline, is an organized group of candidates qualified to assume open positions that have been newly created or vacated. To avoid a costly and lengthy time-to-fill, employers can build talent pools and nurture passive talent until they are ready to apply for an open position. Instead of operating in a reaction mode, recruiters can use recruitment marketing software to be proactive and stay ahead of talent needs. Building talent pools is an effective way to ensure a constant flow of candidates are available if needed. Here is a step-by-step guide on how to build and use your talent pools successfully. What you don’t know can hurt you when it comes to developing robust talent pipelines. Before building and organizing your talent pools ask yourself the following questions to guide how you source talent to your pipeline. - What critical positions and skills are needed at my company? - Where does my company currently ­and its best hires? - What is your average time to ­fill? - What is your company’s talent makeup? - What is your company’s projected growth? Once you have uncovered your talent acquisition team’s strengths and weaknesses, you can segment your talent pools based on your current and future talent needs. Strong segmented talent pools ensure that a company always has a pipeline of talented and qualified candidates to select from when a job becomes available. 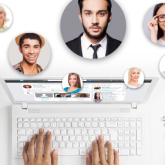 In order to get the most out of talent pools, recruiters must group candidates together based on similarities and continue to communicate with these connections through personalized content. - An organized and robust recruitment marketing automation tool ensures that recruiters are able to quickly and easily determine what types of emails to send to which candidates. By leveraging your employment brand and technology you can maintain a constant pool of warm candidates, shortening your time-to-fill and cost-to-fill metrics. Clearly, you will want to drive as much talent to the recruitment marketing automation tool as possible so you have a sufficient pool of candidates from which you can draw. To drive more traffic towards your brand, incorporate an attention grabbing, graphical link that invites passive candidates to sign up to receive notifications from your company and join your talent pools on all recruitment marketing materials, career pages, and corporate social media sites. Make it easy for potential talent to get to know your company.